Price: 106php ($2.50), may even be lower during sales! 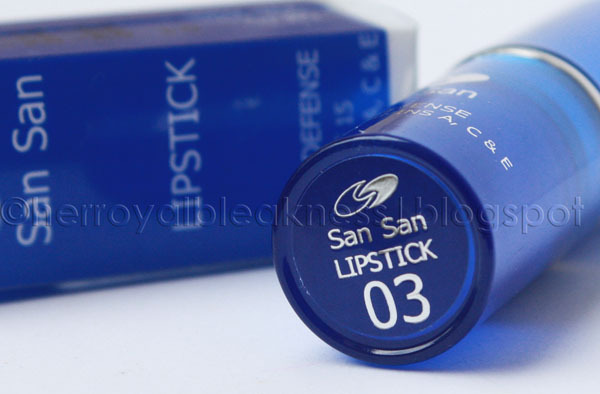 The packaging isn't something you'll be raving about but it's wonderful to note that the San San Age-Defying lipstick's cheap tag does not reflect much on its elegant blue casing! This lippie goes sheer on me even after two swipes. You will definitely need a lot of product to get a pop of that pretty MLBB color. Kumiko Mae wears this San San Age-Defying lipstick color better than I do! Check out her pretty look! But hey, I didn't do so bad here, did I? Goes to show how perfect the color is for us Filipinas! Recommendation. This is perfect for photoshoots but may be too grueling to wear during events because of its need to be frequently reapplied. This is a nice choice though for everyday wear to complete a barely there makeup look. When using this lipstick, I highly recommend it against a great skin. Those with acne scars and pits must layer on a good foundation to create the illusion of a better skin. 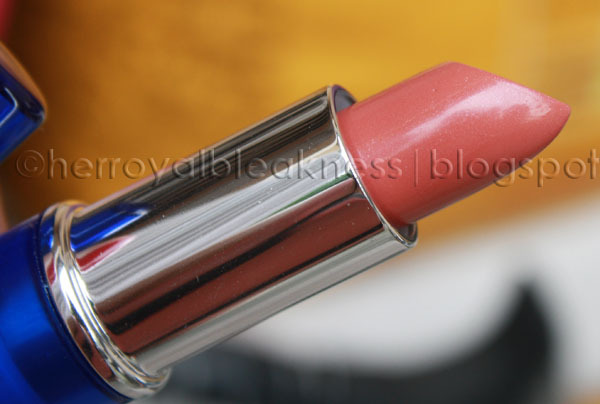 Those with naturally clear skin can do without makeup and just put this lipstick on! Topping the San Age-Defying lipstick in 03 with a nice similar shade of gloss might just address the longevity of wear issue. 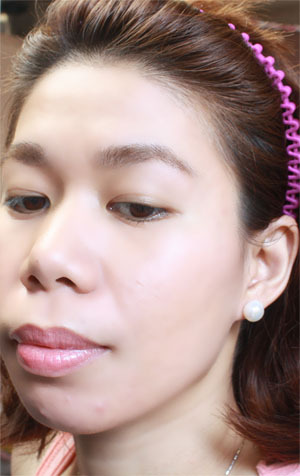 However, since the lippie is already hi-shine, there might be a risk of creating over-the-top glossy lips. So pretty! I love this lipstick! Great review! Very pretty! And girl! Your skin is glowing! So pretty! I actually like the sheer color, too bad it's not a moisturizing formula. The color looks good on you! And your skin?! So glowy! What's your current skincare regimen? Wow... You're skin is glowing... Are you into dermarolling already? Thanks! the color is nice sis although may be recommended to gals with lips that aren't very pigmented. btw you look oh-so-fresh here sis!